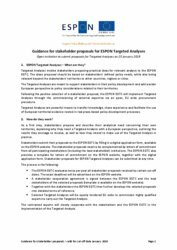 The ESPON EGTC is pleased to announce that the next cut-off date for the submission of proposals for Targeted Analyses is on 25 January 2019. For this invitation, the ESPON EGTC shall select 4 proposals. Policy makers may sometimes think that their territorial peculiarities prevent them from benefitting from the experience of others, facing similar challenges in different countries or different territorial and political contexts. Comparative studies to develop evidence-based policy recommendations may not be a first priority and the process may seem overly complicated. The ESPON Targeted Analyses have changed this! 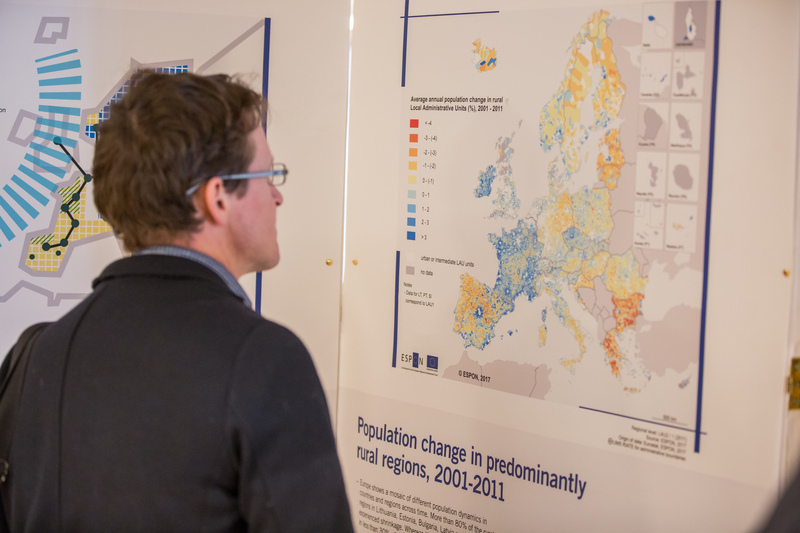 Since 2007, this ESPON offer has been supporting territorial development processes at local, regional and national levels in Europe by bringing together policy makers who share the same kinds of challenges and who are looking for new territorial evidence and a European perspective. Applying sound methodologies and providing scientific expertise, ESPON Targeted Analysis deliver demand-driven and tailor-made analytical studies in support of territorial decision-making. Cross-border public services, strategic planning in metropolitan areas, perspectives for the Alpine Space or the Baltic Sea, cultural heritage as a strategic territorial resource or the potentials of big data for integrated territorial development are among the latest issues raised by national or regional stakeholders and supported throughout ESPON Targeted Analysis. Whether you are a national, regional or local authority, represent a major city or local rural community, a Managing Authority or a territorial cooperation body, ESPON can select and fully finance the experts to carry out the analytical work to provide territorial evidence tailored to your needs. CurrentlyESPON is working with over 80 public organisations from all over Europe to deliver tailor-made evidence support through targeted analyses. We look forward to receiving your proposal by 25 January 2019! 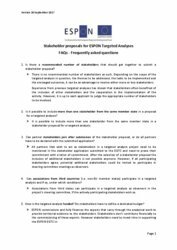 Stakeholder proposals for ESPON Targeted Analyses can be submitted at any time. The ESPON EGTC evaluates twice per year all stakeholder proposals received by certain cut-off dates. The next cut-off date for the submission of stakeholder proposals is on 25 January 2019. For the next cut-off date (25 January 2019), specific selection criteria will be applied. Although stakeholders can propose any subject related to their policy needs, the ESPON EGTC will prioritize the selection of proposals on policy implementation tools for integrated territorial development (national & regional or European funded programmes). Share ideas for ESPON Targeted Analyses in the dedicated LinkedIn group "ESPON stakeholders" This group is designed to facilitate the exchange amongst policy makers on their needs for territorial evidence that can streamline multiple policy processes in a joint effort.